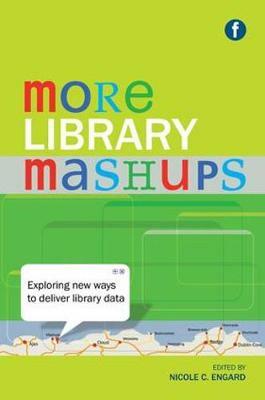 Nicole Engard follows up her ground-breaking 2009 book Library Mashups with a fresh collection of mashup projects that virtually any library can emulate, customize, and build upon. In More Library Mashups, Engard and 24 creative library professionals describe how they are mashing up free and inexpensive digital tools and techniques to improve library services and meet everyday (and unexpected) challenges. Examples from libraries of all types are designed to help even non-programmers share and add value to digital content, update and enhance library websites and collections, mashup catalog data, connect to the library's automation system, and use emerging tools like Serendip-o-matic, Umlaut, and Libki to engage users, staff, and the community.